Today I've got such a cute Korean brand to share with you- I was very kindly sent some products to try from Touch in SOL, a company which has recently launched into the UK and who's items were a sell out at the Ideal Home Show a few months ago. All their products have really fun names and descriptions, and it's nice in a world of stern black packaging and to-the-point product descriptions to have a bit of whimsy! 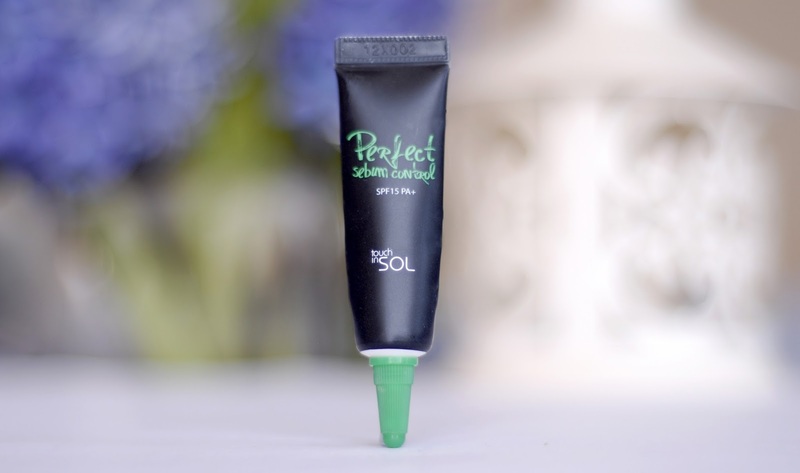 They specialise in primers, BB creams and make up but also offer sun protection and cleansing products, read on to find out what I thought about the products I was sent. The first product I tried out was the Feel Like Honeymoon Skin Base (£11.30), which is a fun one to use around the OH as I can keep him on his toes by constantly mentioning the word 'honeymoon'. This product is used as the final stage of skin care as a moisturising primer and it contains Hydrolysed Collagen, Hyaluronic Acid and Honey extract to increase skin elasticity and boost natural radiance. It also contains flower extracts to soothe and aims to firm and vitalize the skin. I have to say this is one of the strangest textures I've ever put on my face- it's a very thick gel that looks almost slimy but absorbs into the skin so easily leaving no sticky or oily feeling and I haven't yet had to pick off any of the gold flecks. My face definitely feels much smoother after patting on this base and my foundation or BB cream glides over my skin with flaky patches minimised. 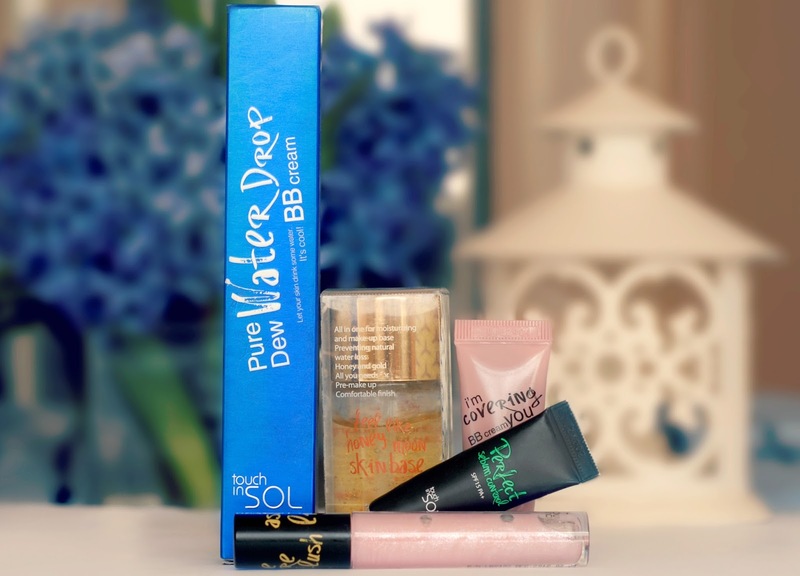 This product was included in the US Glossybox of August last year and has received wholly positive reviews on the website. Next are a couple of BB Creams- I've been through a lot of BB Creams and I really think Asian brands do them best, the colours and formulas are usually much more suited to my skin than western offerings and tend they offer more long term skin benefits. 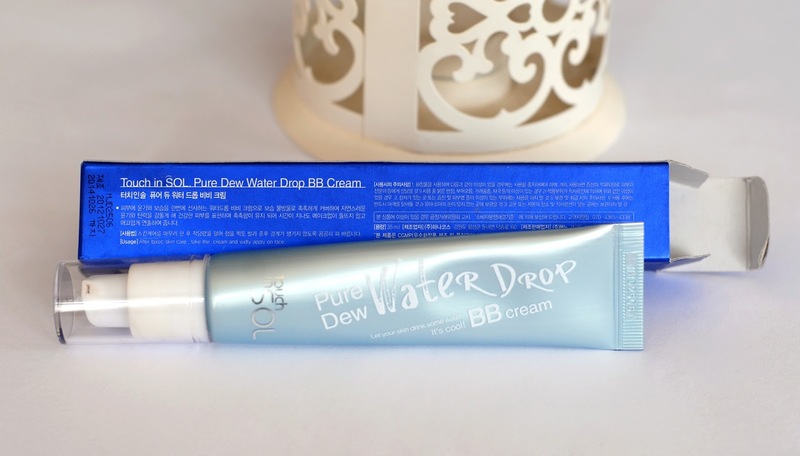 The first I'm going to talk about is the Pure Dew Water Drop BB Cream (£12.70) which contains SPF 36 so is perfect for the current summer weather. This product is packed with natural extracts like Chamomile, Lavender and Green Tea which soothe the skin and features a 3D Matrix Moisturiser as well as a capsule system to ensure maximum hydration to the skin. It's only when it's very hot or my skins looking particularly nice that I'll wear a BB Cream on it's own and I have been really loving wearing this one under foundation. When pumped out this cream appears a greyish colour but changes to blend with the skin tone once it's rubbed in, it's a really good match for my natural skin colour but a bit too light to get away with on it's own when I'm wearing self tan. The capsule formula means it takes a bit of working in to apply and gives a light coverage but is really moisturising without feeling oily so is lovely under foundation or another BB Cream to even out redness and stop the skin drying out. 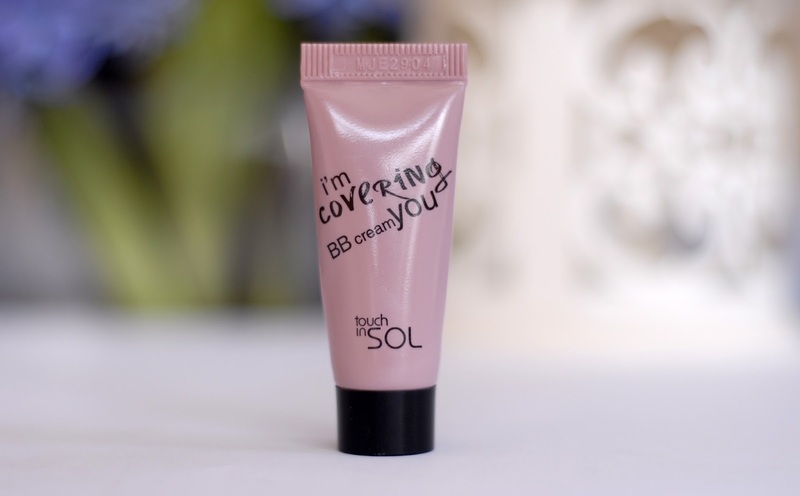 I had a 5ml sample of the I'm Covering you BB Cream (£12.70) which as you might have guessed from the name is has quite strong coverage. This is a traditional BB Cream in the sense that it contains whitening, anti-aging and UV screening properties, and it also contains Fermented Yeast Extract to repair the surface of the skin. This is probably the product that I'm most impressed with- the coverage is really excellent and provides almost the same level as my foundation but actually looks like skin. I need to use much less of this product than foundation as it has a thick creamy texture, and I've had 4 applications so far from this tiny tube. The colour has a neutral brownish undertone and is just lighter than my self tanned skin, perfect with a bit of cream bronzer and with a bit of powder is so long lasting even in the current heat. It also contains SPF50 which is highest I've ever seen in a foundation or BB Cream. 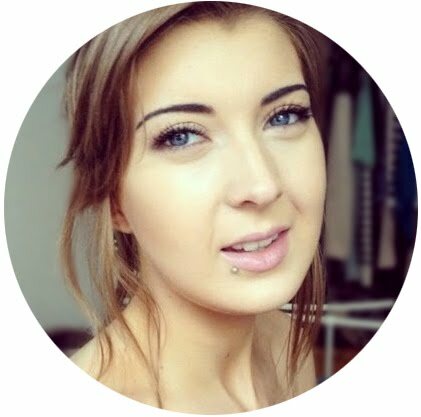 The only downside is that used with no base the I'm Covering You is a bit drying on my blemishes with no base underneath, but to be honest no more so than any of my favourite foundations, and when my sample runs out I'll be very happy to pay the £11.40 for the full size product. 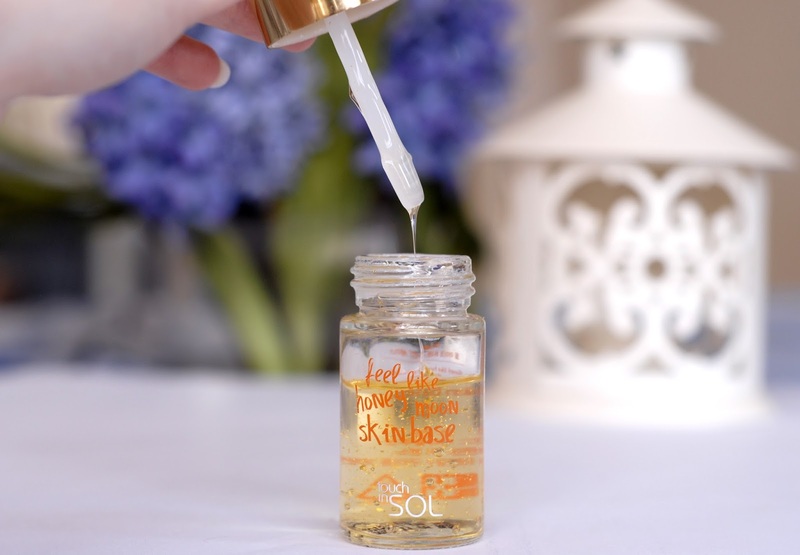 Touch in SOL also sell foundations and I was sent a sample tube of the Perfect Sebum Control (£22) in Natural Beige- not the most glamorous of names but at least you know right away what it's meant to do! This is a liquid foundation available in 4 shades with a powder complex and lasting polymer network system that aims to provide full coverage and control oil while hydrating with natural extracts such as Acai and Fig. This is truly a liquid formula and had more of a yellow tone than the BB Creams, despite being liquid it dries down on the skin with a texture that I couldn't quite describe until I learned it contained a powder complex. This product does act like a powder on the skin in that if you try to put a liquid or cream on top of it then blending becomes quite difficult and patchy. I found this to have actually a light to medium coverage rather than full and while it wasn't completely matte, the finished texture wasn't very forgiving on my pores or fine lines. I've worn this on a couple of very hot days, one being the hottest of the year so far and I had to walk up a big long hill which meant I was very unsexily drenched in sweat by the time I got to the top. Once the sweat had dried (lovely) my skin was still very matte with barely a hint of shine which is really impressive, but unfortunately my pores looked even more obvious and the foundation had collected in the lines under my eyes, on my forehead and around my lips. £22 is near the maximum that I would pay for a foundation and unluckily this one didn't suit my skin, it did though do exactly what it said on the tube so is worth trying out if you suffer with oil and shine in the hot weather but don't have such obvious pores as me. Swatches left to right are Pure Dew Water Drop BB Cream, Perfect Sebum Control Foundation in Natural Beige, and I'm Covering You BB Cream. Above I'm wearing the Perfect Sebum Control Foundation after having walked up that big sweaty hill. 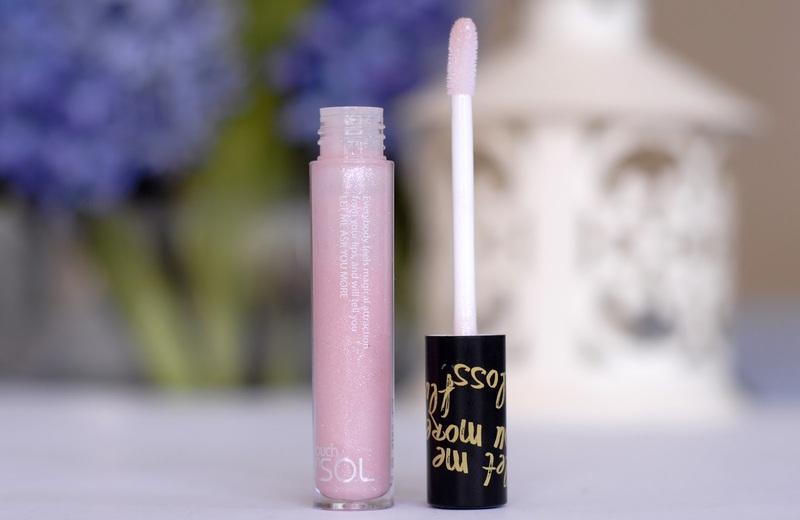 Finally is the Let Me Ask You More Flush Lipgloss in Milky Pink (£8.60). This is gloss is not only packed with moisturising ingredients like Macadamia Oil, Avocado Oil and Vitamin E but is also packed full of pink and silver shimmer that catches the light like nothing else I own. 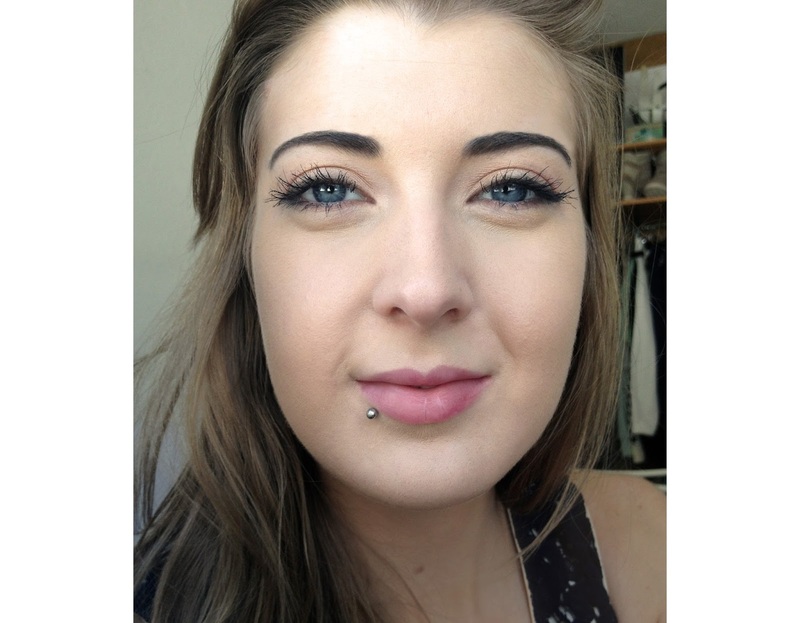 The colour is very sheer on my lips and the gloss gives an amazing shine without being sticky or heavy so I don't feel like I have to pout to keep my lips apart. This gloss is available in 5 shades from a strong cherry to a 'nuddy beige', and although it's a bit too eye catching for everyday wear I've been getting a lot of use out of it in the evenings both on it's own and over lipsticks to bring out the pink shimmer. On the whole I'm really impressed with these products from Touch in SOL, not least because the colour range is well suited to lighter complexions and it's nice to see products without an orange tinge! There are also some useful and unusual products available for summer on the website- the Pang Pang Sun Cutting Powder which contains Witch Hazel and SPF45, BB Balm Compact with vibrating anti-bacterial application puff and powder foundations containing Dark Out which brightens the skin by preventing the creation of Melanin pigment. Touch in SOL currently have 10% off all items on their newly launched website and offer free 2/3 day delivery within the UK.